Portrait demo turns into my favorite piece. 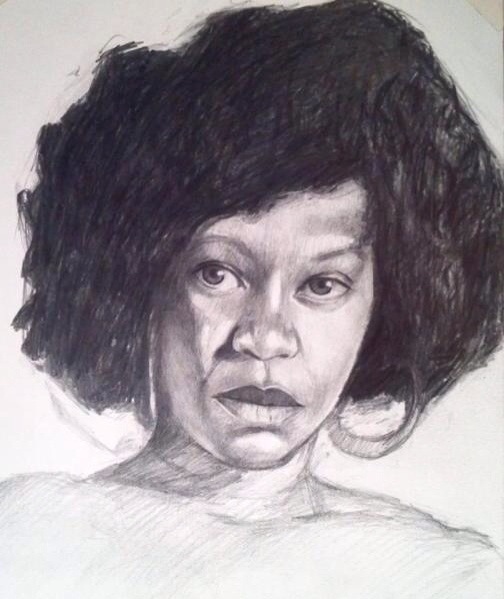 I did a portrait demo/lesson last year for a high school class and I used a really cool photo reference of this feisty looking black woman. It was meant to be a quick demo on how I lay down the face and make it all come together. However, before I knew it, this drawing turned into something really fun. I wish I still had it, but I ended up giving it away to a student…. I think. Anyway, I’ll be posting some images and demos this week. Lots of art critiques to come. And even a demo on how I stretch and prep canvas for a painting. Definitely a lot of posts this week, I have a lot of catching up to do.